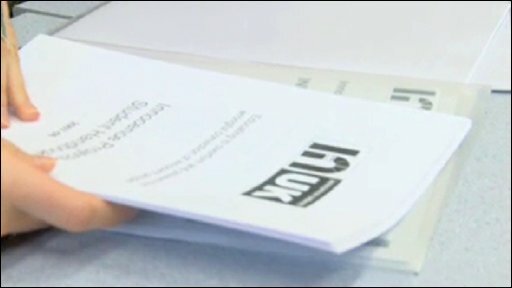 The department of investigative journalism at Strathclyde University has become the first in Scotland to join the campaigning body, the Innocence Network. It's already successfully taken up dozens of cases of alleged miscarriages of justice in the US. In a bare classroom at Strathclyde University, postgraduate journalism students are starting work on a story which could change lives. The post-graduate trainee reporters come from a variety of backgrounds and countries, but they have a common interest in social justice and believe good journalism can help their cause. Student, Scott Millen, says: "It means you're right in the frontline, making a difference from the off-set." Until now, the Innocence Network has relied on law students who give up their time and expertise for free to help people who say they've been jailed for crimes they didn't commit. 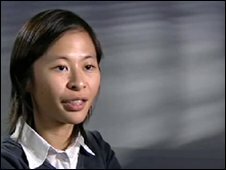 The work of a group of law students from Bristol featured in the BBC's Rough Justice series in April 2007 featuring the case of Simon Hall who is serving a life sentence for a murder he says he did not commit. The Strathclyde University group hopes to take up real cases, just as the Bristol students before them. Strathclyde University's Eamonn O'Neill, who has 20 years experience as an investigative journalist, says the innocence project is serious work. "If recent modern history in the UK shows us one thing, it is that there are sometimes claims that are valid and deserve to be looked into by outside bodies," said Mr O'Neill. The Bristol students hope that one of those bodies, the Criminal Cases Review Board, will report before the end of October on whether Hall should be granted an appeal. Gabe Tan was one of the Bristol group and is now co-ordinator of the Innocence Network in the UK. She believes the trainee reporters will bring a new approach to the group's work. Ms Tan said: "They may bring more critical eyes to what's in the public domain - they may not be stuck in the rules like us trainee lawyers. "Anyone can do it - you just have to have an inquisitive mind." Another Strathclyde student, Keshia Clukey, who is from New York State in the US, is eager to begin the project. "I'm excited, it's a chance to use what we learn in class in the real world."